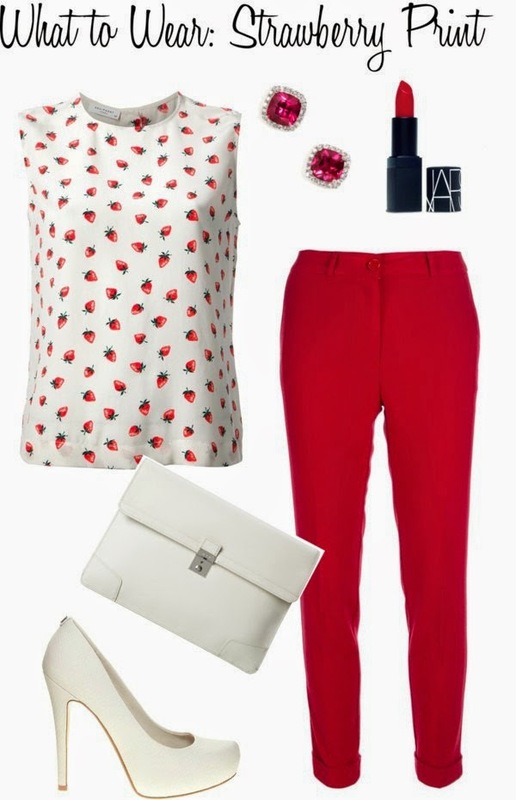 What to Wear: Strawberry Print Spring is the perfect time for a berry print to enter your closet. Berries are rich, bold colors and any print incorporating them will be a bold, beautiful print. 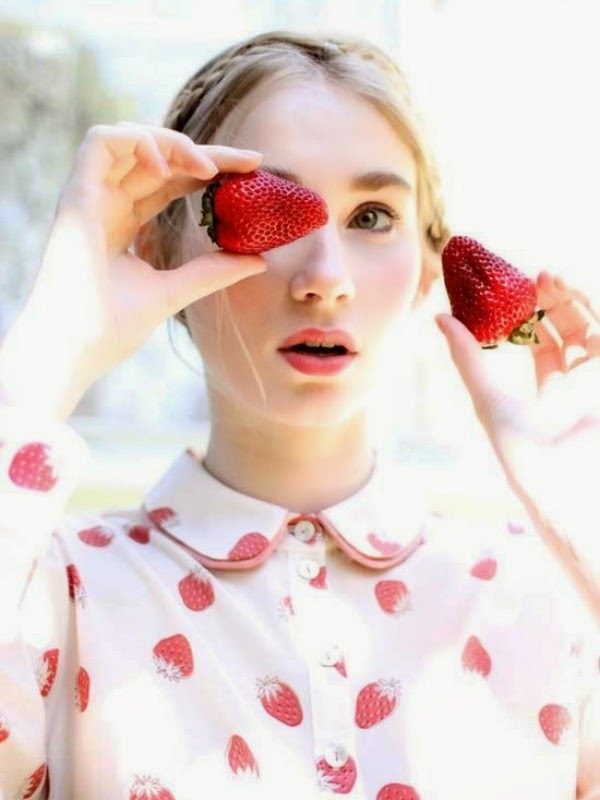 I love the strawberry print blouse below and this berry print tee is amazing. I think with a print like this you want to keep the rest of the look solid and in matching colors. Neutral accessories are perfect for prints like this. This look was inspired by Shari's Berries #SweetStyle. What are your thoughts on these prints? How would you style one? I can attest: the blouse is a little pricey but oh-so-worth it! Lovely styling! That shirt is super cute. I love these prints! Definitely perfect for spring and summer! This is so cute! I actually bought a strawberry print tunic for my daughter form H & M.
Love this look, is perfect *.*! That would be a really cute outfit!